Onions are a budget-friendly pantry staple that are bursting with health benefits due to their high levels of vitamin C, phytochemicals and prebiotics. Their unique bundle of nutrients will even help ward off viruses, along with boost gut health. Whether blended, sautéed, baked or fried, this tasty vegetable can be easily ‘disguised’ for fussy eaters in your favourite family meals and can help keep you and your kids healthy on the inside and out. While aussie parents fight a daily battle to get their little ones to eat more veg, a recent survey, undertaken by Australian onions showed that children tend to shy away from meals where onions are obvious, and this often means the whole family skips them in order to keep the peace. According to Australian chef and ex-My Kitchen Rules (MKR) finalist Scott Gooding, the secret to success lies in the preparation. 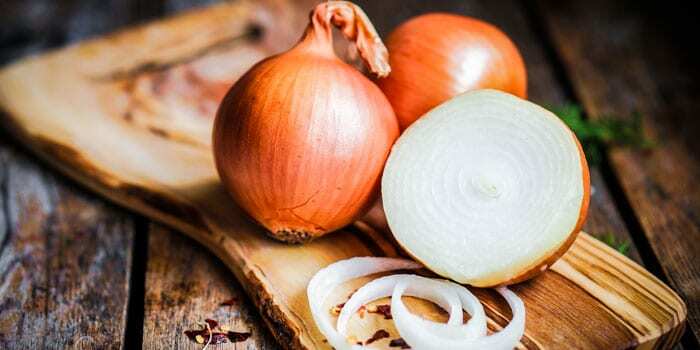 Thanks to a series of delicious cooking tips to handy hacks for avoiding the tears, Scott has revealed how he prepares onions for his family in a bid to encourage Australians to boost the vegetable content of any meal. Download The Secret Serve e-book or visit the Secret Serve website for more health information and many tips on ways you can utilise this versatile veggie to boost nutrition and taste.